In this article you can download Massive Chalice cheats. This trainer +4 has been created by MrAntiFun for game version 1.00. All cheats on our site you can download without registration, so this hack available for download free. With this trainer you will get the advantage in your game. But first, a bit of information about the game. 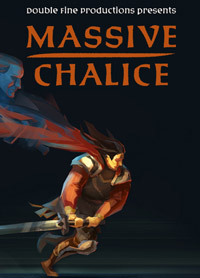 Massive Chalice is a single player turn-based tactics game within a multi-generational strategy campaign built for replayability. As an immortal King or Queen, you must unite your kingdom under a powerful dynasty, eliminate the demonic threat, and reforge the Massive Chalice! The game is structured into two main layers: strategy and tactics. In the strategy layer, you oversee your kingdom, arrange royal marriages, conduct research, and make the far-reaching decisions that will determine the fate of your legacy.